The dense cork material provides the ultimate performance block that is stable on almost any surface. Sustainably harvested from cork tree bark, the block is a great eco option. The cork has natural anti-microbial and anti-bacterial properties that keeps the fresh. Designed with rounded edges, the block is comfortable and is easier to grip. I own a pair of sturdy foam blocks but bought these mostly for neck releases (although they'll come in handy for many poses) due to the the extra support they provide. Nice beveled edges too. They do the trick! This blocks are fantastic! They’re just the right weight. The beveled edges are nice and I think will help them to hold up longer. Sometimes cork blocks can be either overly squishy or too hard, these are just right. The only thing I don’t like about them is the giant logo but the blocks are so nice it doesn’t bother me nearly as much as I thought it was going to. 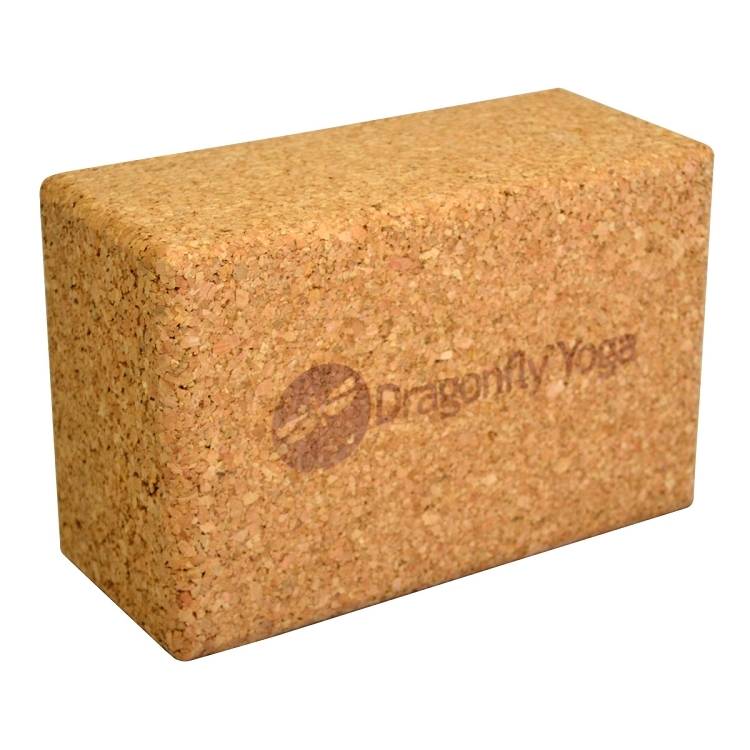 My yoga instructor recommended purchasing cork blocks. As a 'newbie' to yoga, I wanted to start off with the right tools and these blocks are fantastic. Sturdy, wide and with soft edges, it's a perfect support piece.